The PowaKaddy TwinLine 4 is a lightweight push trolley that is very easy to set up, folds down extremely fast and compactly. It is constructed from a strong, lightweight aluminium frame, has a whole host of features including a foot operated parking brake and telescopic handle for height adjustment. 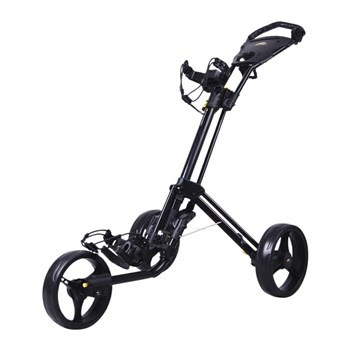 The ingenious 3-wheel design gives you the option of pushing or pulling your trolley and also provides extra stability.